A packed courtroom looked on as all six defendants in the epic City Harvest Church legal battle were convicted of multimillion-dollar fraud yesterday. Judge See Kee Oon, who singled out pastor Kong Hee as the spiritual leader the other defendants had trusted, said: "Each of them participated and functioned in their own way as crucial cogs in the machinery." Emissions from Indonesian forest and land fires have jumped in the past two weeks, according to an analysis of Nasa satellite data. The total emissions have soared to nearly 1.4 billion tonnes, surpassing the figure for the 2006 fire crisis. 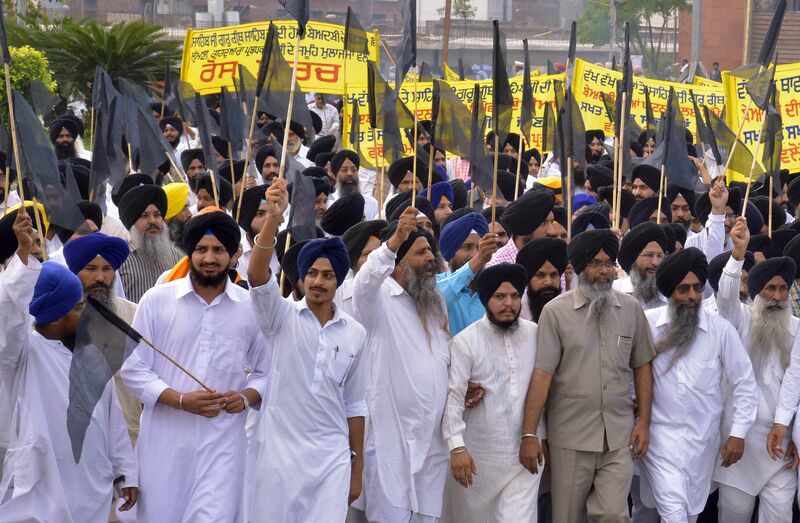 Hundreds of protesters yesterday blocked highways and roads in the Indian state of Punjab. The protest came amid unrest over the desecra- tion of the Guru Granth Sahib, the holy book of the Sikhs, and the deaths of two protesters. A report released by Amnesty International yesterday said some 1,000 Rohingya in Indonesia's Aceh remain in limbo as a deal granting them refuge nears expiry next year. They were granted entry into Aceh in May during the regional migrant crisis. A new measure of unis? Current university rankings are controversial. With rising tuition fees and youth unemployment, there's a case to be made for a more objective measure of the worth of university education, writes Senior Education Correspondent Sandra Davie. 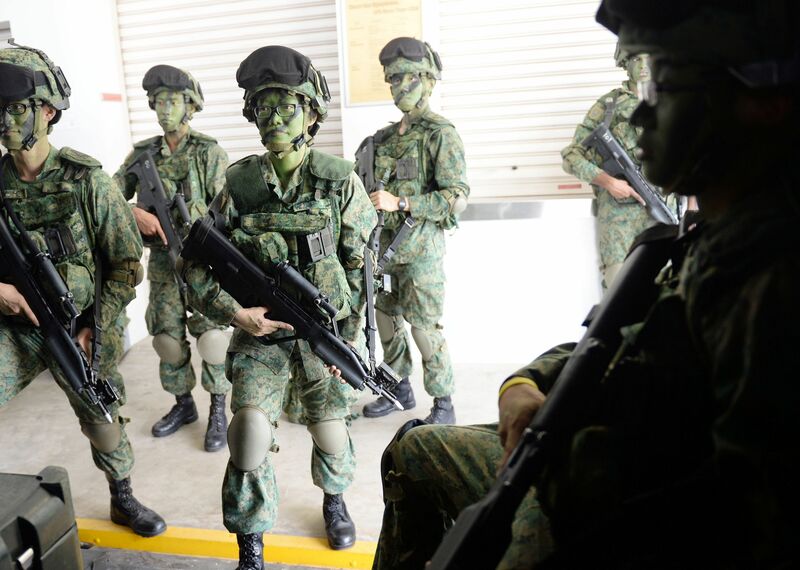 A scheme in which servicemen are given $500 in cash to successfully refer potential recruits to the Singapore Armed Forces is a hit. A quarter of more than 100 referrals were hired in the past year. The scheme was launched in July last year to recruit more women and mid-career professionals. A deliveryman who took a parcel to a lawyer's office told a court how he saw Govindasamy Nallaiah standing alone inside, holding a bicycle chain. The testimony came during the trial of the man accused of murdering the lawyer's wife. Banking figures here have reassured customers using contactless or "tap and go" cards such as payWave that there is no security risk despite a major scare in Hong Kong. They say this type of payments is very well protected by security measures, with card fraud rates here still very low. The Singapore Sports Institute's altitude room, simulating a high-altitude environment, has its first temporary residents. Since Oct 7, a group of 13 local athletes have been spending 10-12 hours a day in the facility. Living there and training at the nearby Kallang Water Sports Centre allows them to adopt a "live-high, train-low" principle. 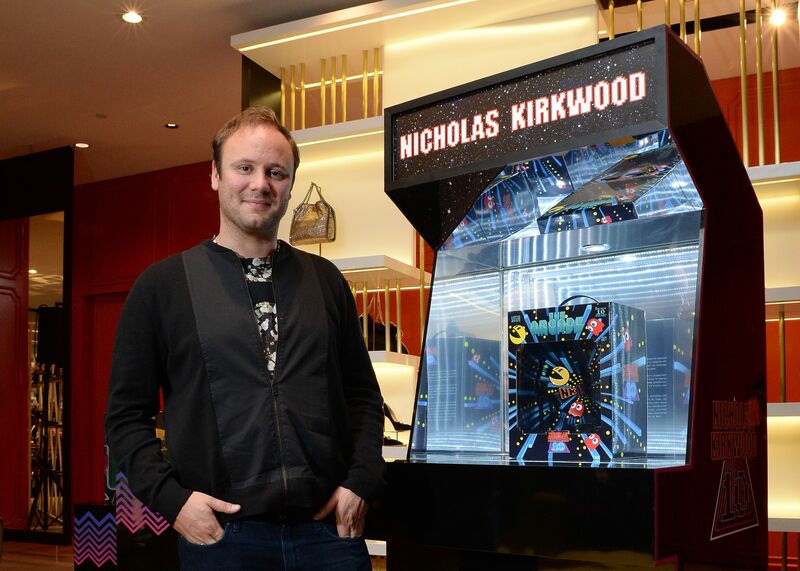 To mark his 10th anniversary as a shoe designer, Nicholas Kirkwood has come up with a 10-piece shoe collection inspired by the video game arcade and pop culture of the 1980s. The Briton worked with Singaporean design guru Theseus Chan on the packaging for this limited edition collection that is being sold around the world. In keeping with global museum practices, the Asian Civilisations Museum has returned a "stolen" 11th-century statue to India. The two-year-long saga has raised questions about why it is so easy for artefacts to leave India. Several art experts point to loopholes, such as how scores of sites across India have no protection.